School’s been back in session for a few months now, and with it routine has returned. Routine, routine, my fickle friend. While the kids and I need it to thrive, it can be such a pain at times. I mean it’s pretty easy to drive the car, shuffling kids between work, wrestling practice, church, you name it. I’ve got this, right? Without fail, there’s always one thing I never remember to take into consideration. We’re home for the night. Everyone’s stuff has been carted from the entryway into their various residences. Chores are done. Homework’s done– finally! And that’s the moment I sit down, wipe my brow, and breath a sigh of relief. This is also why I keep a variety of options on hand for quick meals- and by quick meals I mean 30 minutes or less from start to finish. Smithfield Marinated Fresh Pork is perfect for just this reason. You can never go wrong having a good tenderloin on hand. One that’s been marinaded for you? That’s genius. 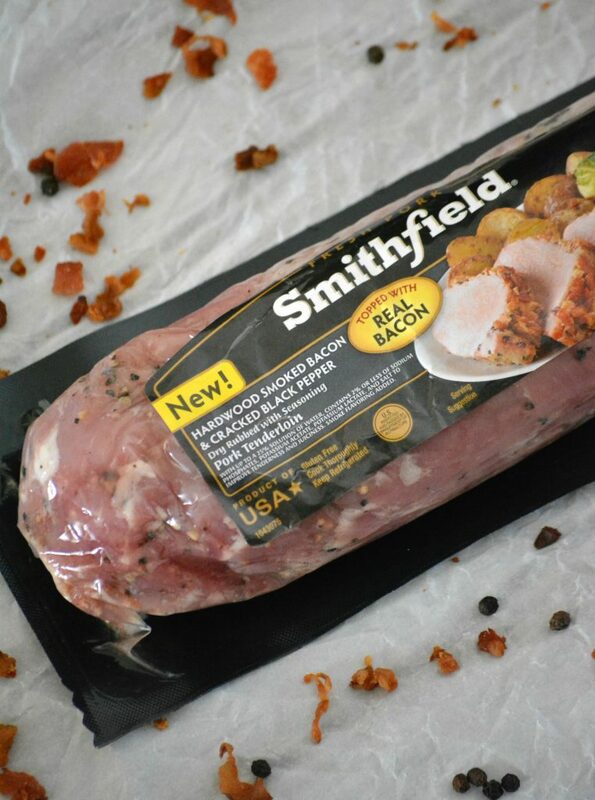 As if this wasn’t my go to before, Smithfield ® has come out with four new flavors. Got your mouth watering yet?? You can grill it. You can roast it. You can saute it. You can even set it and forget it, cooking it in the slow cooker. It’s like miracle meat. Seriously. It also leaves you with plenty of options– sandwiches, tacos, even with pasta– it’s versatile folks. Another way to get real flavor, real fast? Have that bad boy cooked in 15 minutes. Not only is it possible, it opens up your possibilities as far as what you want to do with it. While I love, love, love the new Hardwood Smoked Bacon & Cracked Black Pepper Tenderloin, I still very rarely serve pork as is. That being said, with properly pre-marinaded pork the flavors are infused into every bit of meat and stay with it in every bite. This is why I love incorporating such flavorful meat into simple meal ideas. 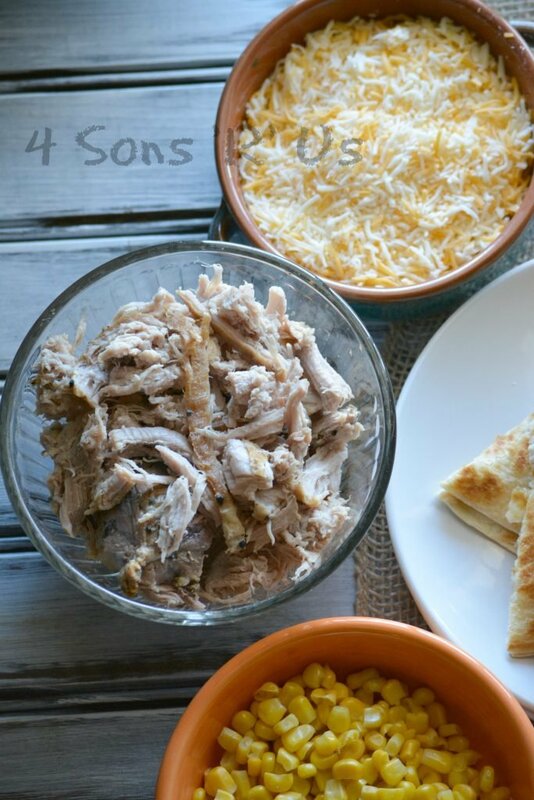 Not only are they already my favorite because they’re quick and easy, but this pork specifically packs a flavor punch into every single bite of an otherwise ordinary dish. 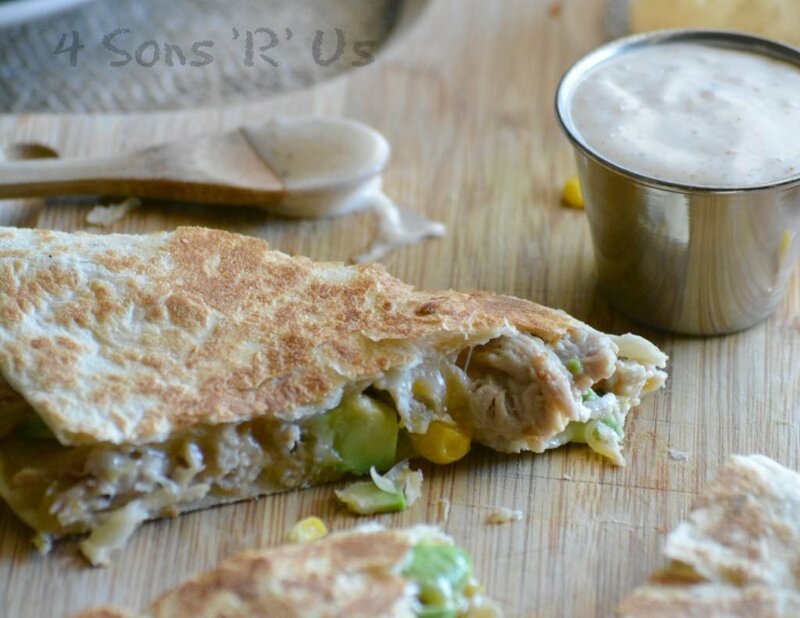 Enter these Sweet & Smoky Pork Quesadillas with Spicy Ranch Dressing. 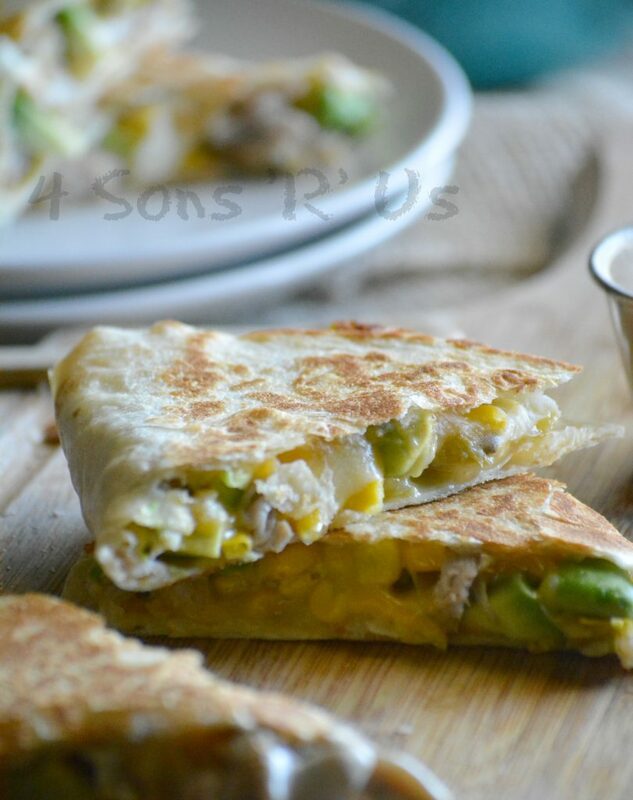 A yummy Tex Mex-style lunch or dinner, these Sweet & Smoky Pork Quesadillas with Spicy Ranch Dressing are stuffed with tender pieces of shredded pork, sweet corn, diced green chiles, and avocado. Mexican blend cheese is the glue that holds everything together. Crispy quesadillas are a thing of beauty on their own, but dipped in spicy ranch? That’s a literal flavor bomb waiting to go off in each bite. Ready in under 30 minutes, this is the recipe to have on hand as the ace up your sleeve on busy nights. Being short on time is never a valid reason to serve a meal that isn’t full of flavor– thankfully with the help of Smithfield’s marinaded pork tenderloin the guess work’s taken out of the equation for you– even on the busiest of nights. 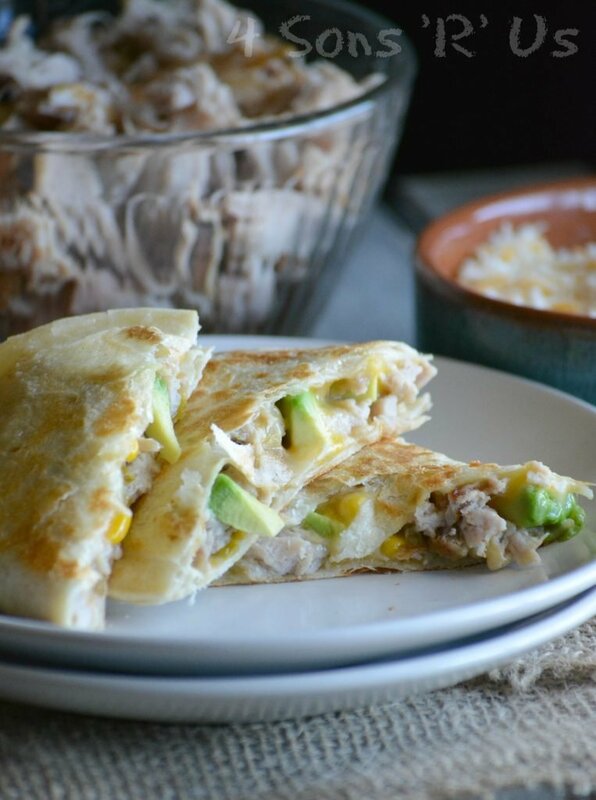 An easy Tex Mex quesadilla that tastes amazing, but is ready in just 30 minutes-- and is budget friendly. Add 2 tablespoons of olive oil to a cast iron skillet. Heat the skillet over medium high heat. When hot, add the tenderloin and sear it on all sides until it's nice and browned. Carefully transfer the skillet to a 425 degree oven, and cook for 15-20 minutes-- or until the internal temp reaches 145 degrees. Let the pork rest for a minute or two. Use two forks to 'pull' the meat apart and add it into a large bowl. Add the corn, chiles, avocado, and paprika to the bowl. Gently stir until everything's evenly incorporated into one mixture. Spread about 1/4 cup of cheese evenly out over half of a tortilla. Top with a 1/5 of the meat mixture. Sprinkle another 1/4 cup of cheese evenly out overtop of the meat mixture. Fold the tortilla closed. Heat a large skillet over medium heat. When the skillet is hot, spray it with non stick cooking spray and carefully transfer the prepared quesadilla to it. Let the quesadilla cook until browned and crispy on one side, about 3 minutes, careful to avoid overcooking/burning. Use two spatulas to carefully flip the tortilla to the other side, and again allow it to cook for about 3 minutes, or again until the cheese has melted and the tortilla's browned and crispy. 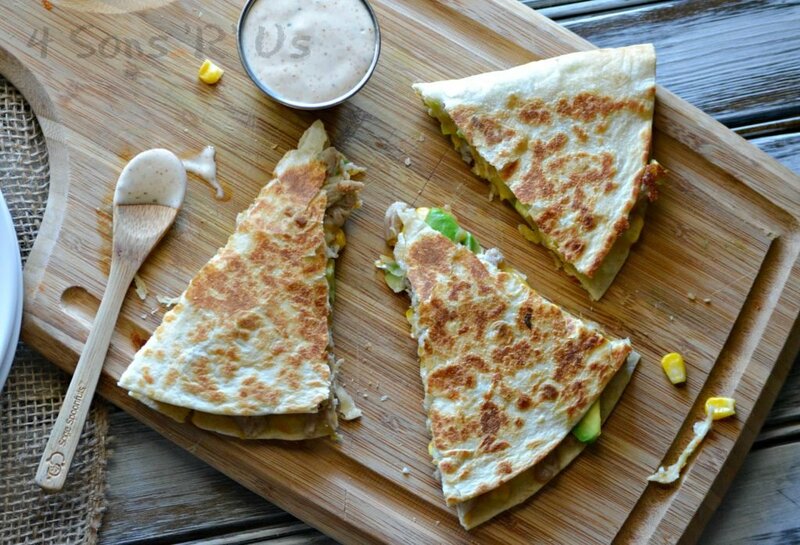 Remove the cooked quesadilla to a cutting board. Let it rest for a minute, and then use a pizza cutter to slice it into 3-4 wedges before serving. In a small bowl whisk together the ranch and chipotle powder until evenly incorporated. Serve with the cooked quesadillas, for dipping. Got leftovers? This meat mixture makes a wicked grilled cheese sandwich! Same here, David! I hadn’t either, but the pork made them ah-mazing! Seriously my new go-to filling. 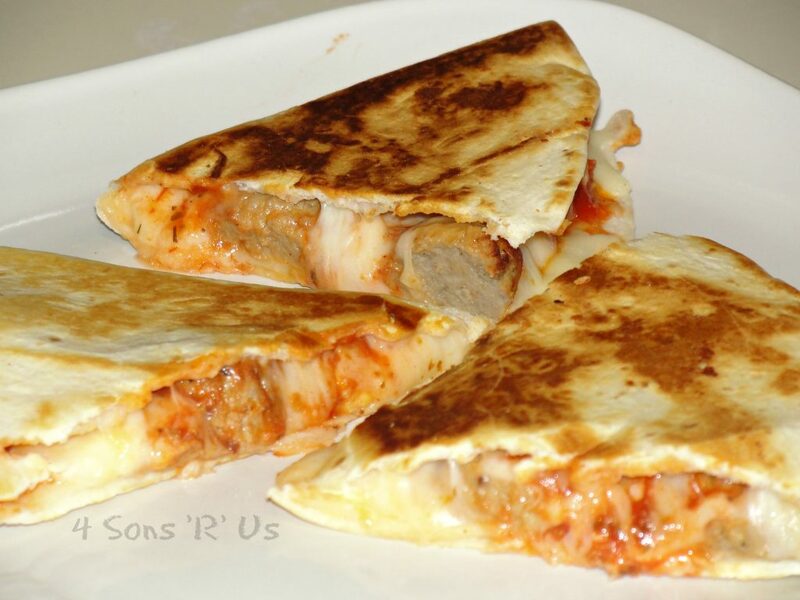 I’ve never tried quesadillas with pork! They look fantastic!! It’s a must-try fo sho!! This is exactly something I would make! Looks so yummy! We have pork often and I’m always making tacos or quesadillas with the leftovers! I am so glad I jumped on the bandwagon. Happy to spread the word!! 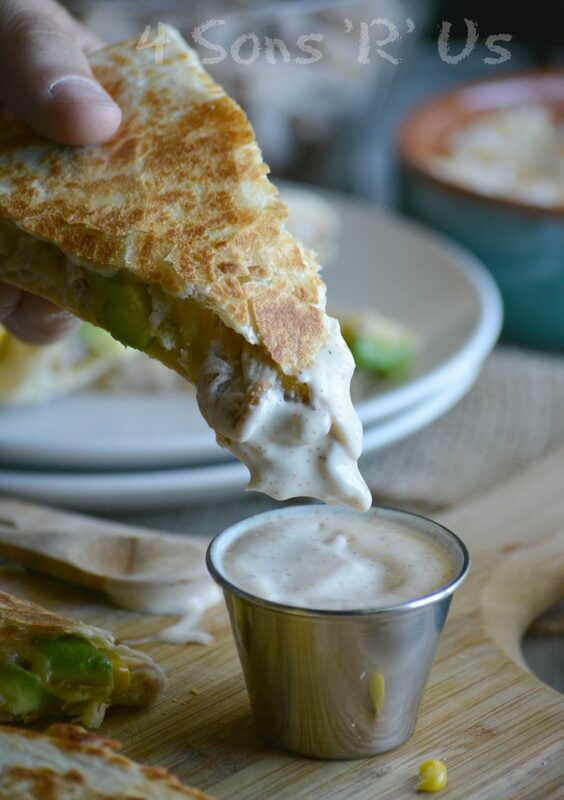 I always enjoy quesadillas – love the chipotle powder addition to the Ranch dressing. Happy FF! Such simple things make all the difference! 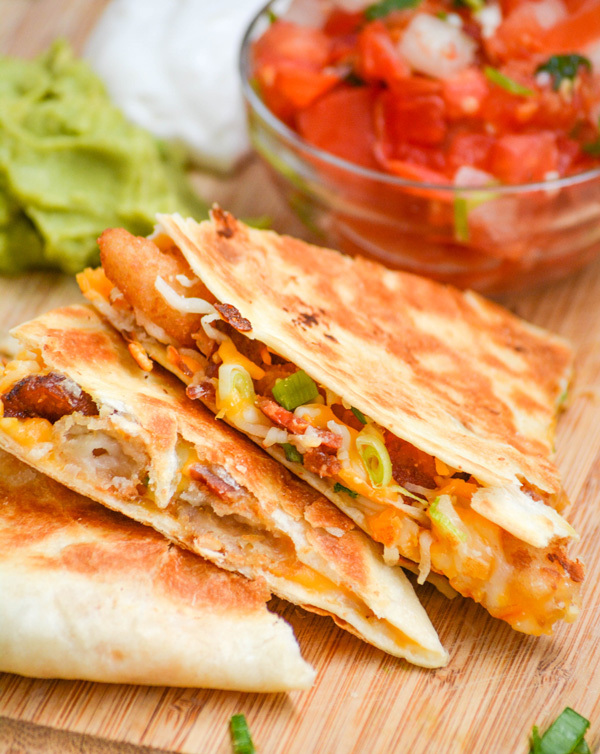 Yummy quesadilla’s. I love adding avocado to hot sandwiches – it adds such a lovely creamy texture, don’t you think? Happy Fiesta Friday. Yes! To the texture element, and yes x 1000 to that creamy goodness! 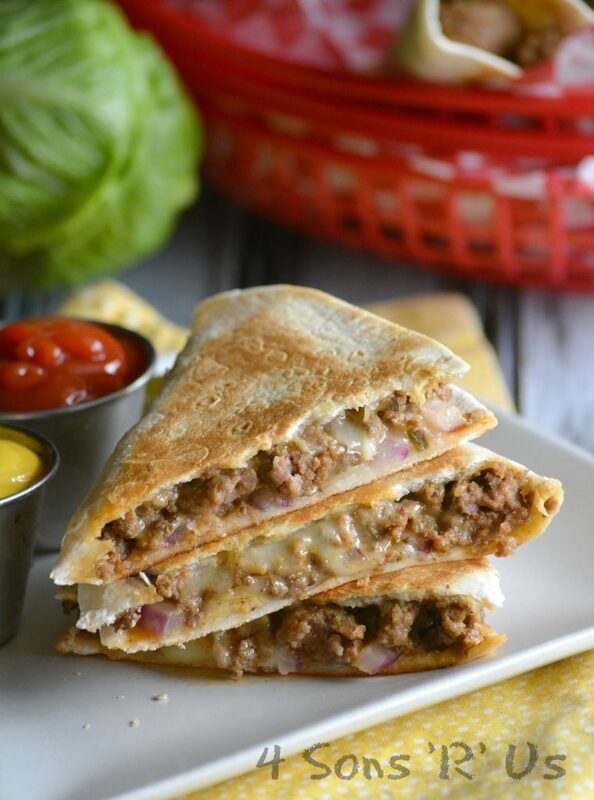 Your quesadillas look amazing, I have a bowl full of leftover shredded pork in the fridge. We are def having these tonight! Thanks! You’re going to love them!